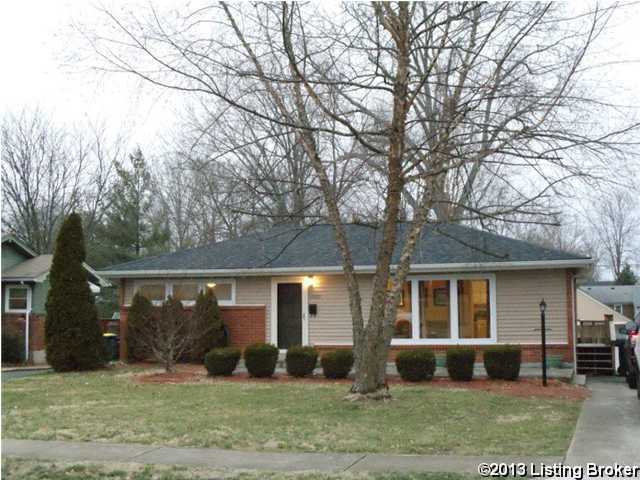 WOW...CHECK IT OUT...3 Bedrooms, 2 full baths, formal living room + family room in lower level. Very modern decor! hardwood floors, some replacement windows. Deck, 2 car detched garage. Seller says roof was replace in 1/2012, furnace 1/2009, c/a 2012, water heater 2012. Just move in & enjoy this doll house! 12205 Saint Clair Dr, Louisville KY 40243 is a Home, with 3 bedrooms which is recently sold, it has 1,575 sqft, < 1/4 ACRE sized lot, and 2 Car Garage,Detached,Driveway,Off-Street Parking parking. A comparable Other, has bedrooms and 0 baths, it was built in and is located at and for sale by its owner at $ 0. This home is located in the city of , in zip code , this County Other, it is in the Subdivision, and Douglass Hills are nearby neighborhoods.